Of the 22,786 Japanese soldiers entrenched on the island, 21,570 died either from fighting or by ritual suicide. Only 216 were captured during the battle. The Allied forces suffered 26,038 casualties, with 6,821 killed in action. The number of American casualties was greater than the total Allied casualties on D-Day (estimated at 10,000, with 125,847 American casualties during the entire Operation Overlord). 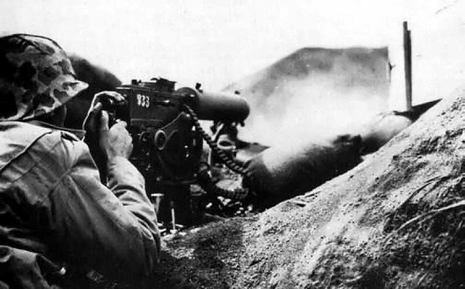 Iwo Jima was also the only U.S. Marine battle where the American casualties exceeded the Japanese, although Japanese combat deaths numbered three times as many American deaths. Some 300 Navy seamen were also killed. Because all the civilians had been evacuated, there were no civilian casualties at Iwo Jima, unlike at Saipan and Okinawa. 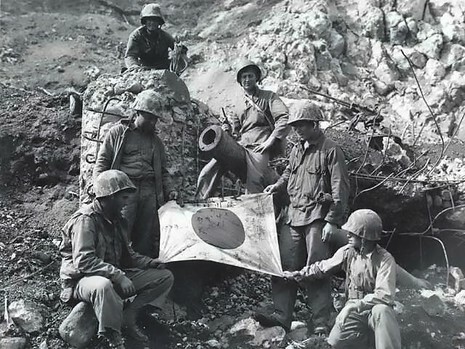 After Iwo Jima was declared secured, the Marines estimated there were no more than 300 Japanese left alive in the island's warren of caves and tunnels. In fact, there were close to 3,000. The Japanese bushido code of honor, coupled with effective propaganda which portrayed American G.I. 's as ruthless animals, prevented surrender for many Japanese soldiers. Those who could not bring themselves to commit suicide hid in the caves during the day and came out at night to prowl for provisions. Some did eventually surrender and were surprised that the Americans often received them with compassion, offering water, cigarettes, or coffee. The last of these stragglers, two of Lieutenant Toshihiko Ohno's men, Yamakage Kufuku and Matsudo Linsoki, lasted six years without being caught and finally surrendered in 1951 (another source gives the date of surrender as January 6, 1949).